If you were playing a brutally difficult game and someone gave you a powerful sword, you’d pick it up and use it, right? If you do that in Dark Souls 2, however, that might corrupt your save and get you banned. Hackers have been doing this for years, and there’s little you can do about it. 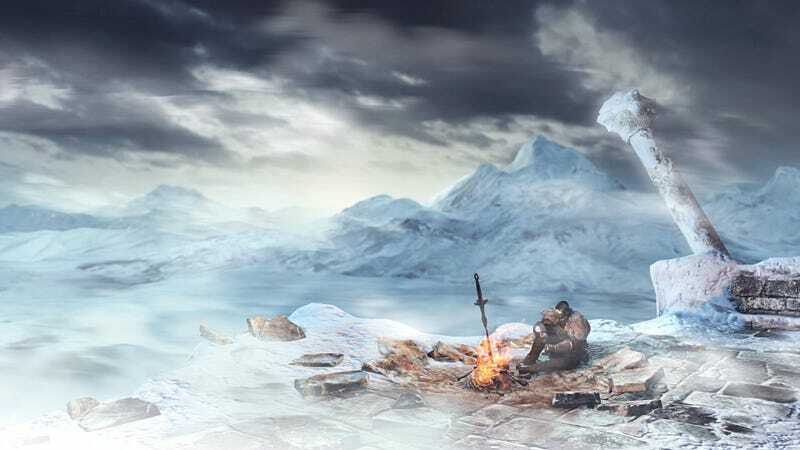 The hacking of items was a problem when Dark Souls 2 was originally released in 2014, and remains an issue with the updated Dark Souls 2: Scholar of the First Sin re-release from earlier this year. As far as I can tell, console players are in the clear. This concerns folks on the PC. What’s insidious is how hackers have subverted one of the few ways strangers can be friendly, making it so most Dark Souls 2 players no longer exchange items with people they don’t know. It’s absurdly easy to download a tool for editing weapons, equipment, and items in Dark Souls 2. With a few key strokes, anything in Dark Souls 2 can become far stronger than what the game actually allows through upgrades. Picking up a hacked item won’t usually do anything, but if you equip and use it, there are typically disastrous consequences for the player in question. In the original Dark Souls, overpowered cheaters were annoying but manageable. The worst case scenario was dying and waiting for them to go away. It’s far different in Dark Souls 2. The multiplayer servers will realize this item doesn’t exist and softban your account. A softban means you can still be online, but can only join up with with other banned players. Your save will become corrupt, the game will crash, and the only solution is to mess with game files to remove hacked items without accidentally messing with anything else. This player did something completely reasonable: they trusted the game. When a player offered an item, they picked it up and tried to use it. The person in the wrong was the hacker, yet Natsuyaki Rinko was the one who was punished. That’s insulting. “Don’t take candy from strangers” and “delete your character” are not reasonable pieces of advice for people being maliciously manipulated by a game they paid $60 for. Namco Bandai’s response should be “we’re looking into how to patch this so you can have a more enjoyable experience with Dark Souls 2,” not pointing the finger at innocent players. Unfortunately, it doesn’t look like anything’s going to change. Like I said, it’s been a problem for more than a year now, despite the game being re-released and upgraded just months ago. If From Software is going to address this at all, it won’t happen until Dark Souls 3 early next year. The solution? Don’t take candy from strangers, I guess.